Home / Resource / Factsheet / Why Do Some Asylum Seekers Cross the U.S. Southern Border Between Ports of Entry? Why Do Some Asylum Seekers Cross the U.S. Southern Border Between Ports of Entry? “Ports of entry” along the U.S. southern border are official crossing points where U.S. Customs and Border Protection (CBP) officers regulate the flow of people and goods between the United States and Mexico. Along the vast U.S.-Mexico border, some ports of entry lie hundreds of miles apart. Crossing the border between ports of entry is sometimes called “illegal” or “irregular” entry, but this type of entry does not prohibit refugees from seeking asylum. 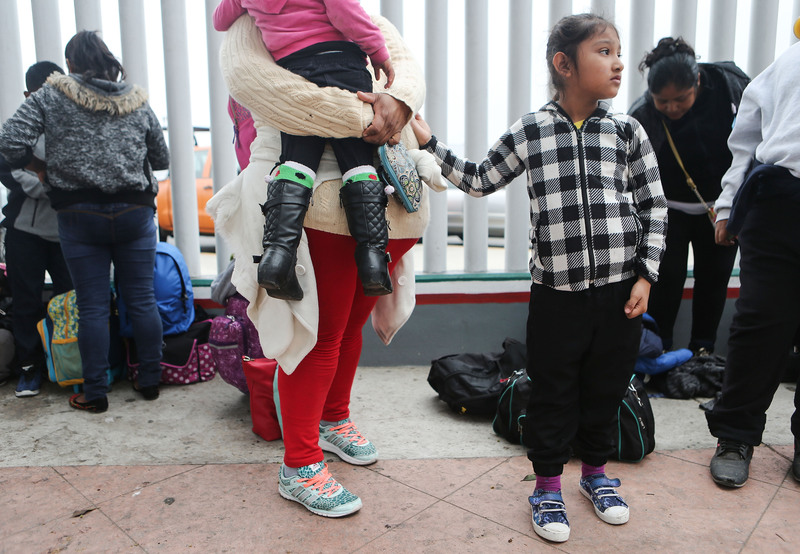 On November 9, 2018, the Trump Administration issued an interim final rule and presidential proclamation seeking to bar refugees from asylum if they cross the southern border between official ports of entry. This illegal move would put thousands of refugees at risk of deportation back to persecution, separation from their families, and other harms. Under U.S. law, people present in the United States after crossing the border may apply for asylum. The Refugee Convention also protects refugees from penalties due to illegal entry or presence. These legal protections recognize that people fleeing violence and persecution often have little choice but to cross borders to seek asylum. The following are a few of the many reasons why asylum seekers might cross between entry points. Asylum seekers should not be refused protection because of the many hurdles placed in their path to safety. In fact, U.S. law and international treaty commitments guarantee refugees an avenue to seek asylum regardless of how they entered the country.